On the other hand, Democrats have not held a Kansas Senate seat since 1939, and they already have a candidate preparing to run. 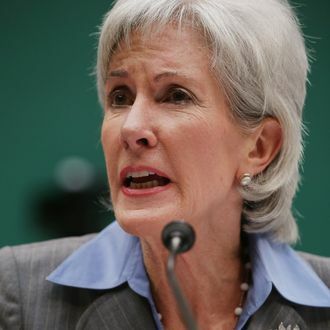 Plus, as of February of this year, 55 percent of Kansans viewed Sebelius unfavorably. And, even the Times admits, “Friends and Democrats who know her said that they seriously doubted she would follow through and mount a campaign, considering how personally difficult the past six or seven months had been.” Of course, she could just be a glutton for punishment.